Holp Construction & Design will build you any size Garage or Pole Barn with a variation of extra features you may desire. If you want quality construction vs. cost then we are the right fit for you. We don’t skimp on lumber or use inferior building products because we want your project to last. Companies that just build garages and pole barns all summer don't focus on quality and we know it! If you choose Holp Construction & Design for your project build, we guarantee quality work in a timely manner so you know your getting what you pay for. First write a prioritized list of your needs and wants and look for exterior designs in magazines and on websites. 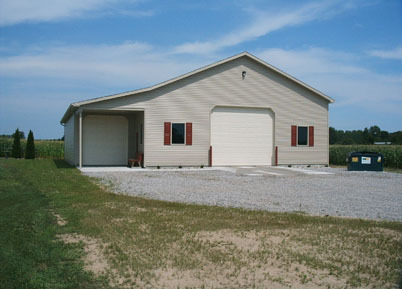 Collect pictures of what elements you would like for your Garage or Pole Barn. Decide what you are going to utilize the space for most. Do you need extra storage or would you like it to be able to park all three of your cars inside? 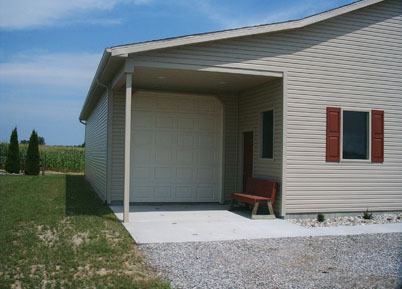 Do you want your Garage to be attached or standing on its own? You may want to make the exterior of your project to match the exterior of your home or you may want to go a different route and use a steel roof and siding. The more clearly you can envision your project the better prepared you’ll be in making your decisions. Think about the size and height, if you want windows, additional doors, electrical, and site work or concrete. Going online to investigate national remodeling cost averages, can be helpful in getting a realistic idea of what your Garage or Pole Barn project may cost. This is something we will discuss as we look at your needs and wants for your building project, we call this budget qualifying. Budget qualifying will help us both know if we should continue forward with the estimate/bid stage or if additional time is needed to work towards your remodeling goals.